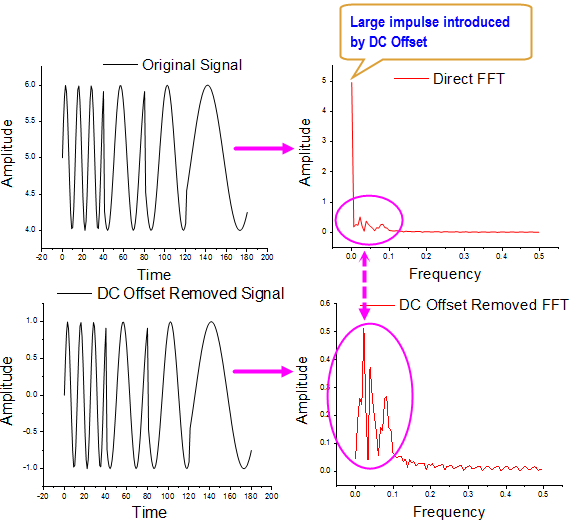 Performing FFT to a signal with a large DC offset would often result in a big impulse around frequency 0 Hz, thus masking out the signals of interests with relatively small amplitude. 1. 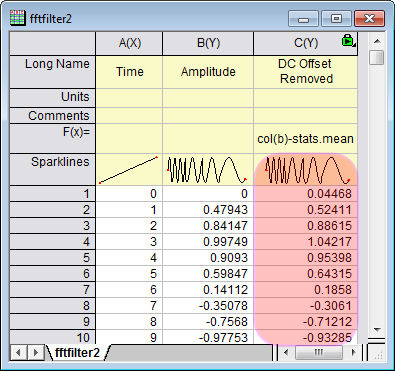 Highlight the source signal column Amplitude, and select menu Analysis: Signal Processing: FFT Filters. 2. 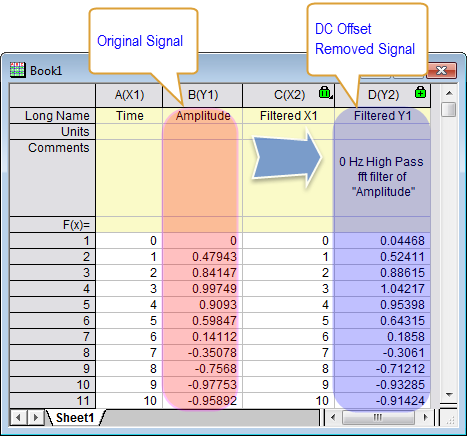 In the pop-up dialog, choose High Pass for Filter Type, uncheck Auto checkbox to set Cutoff Frequency to zero and clear the Keep DC offset check-box. 3. Click OK button to get the result without DC offset. 1. Now we have the original signal stored in column B (Amplitude). 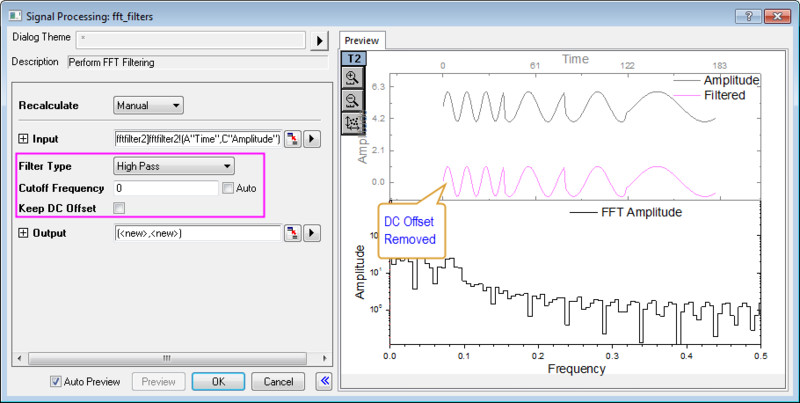 Hold Ctrl + D to add a new column C for storing DC offset removed signal and input DC Offset Removed as Long Name. 2. Highlight column C, and select Set Column Values from the context menu to bring up the Set Values dialog. 4. 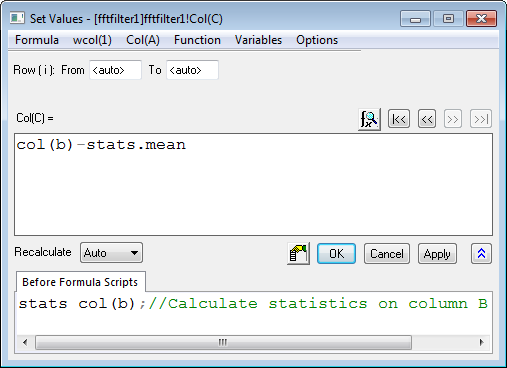 Column C is the result without DC offset.